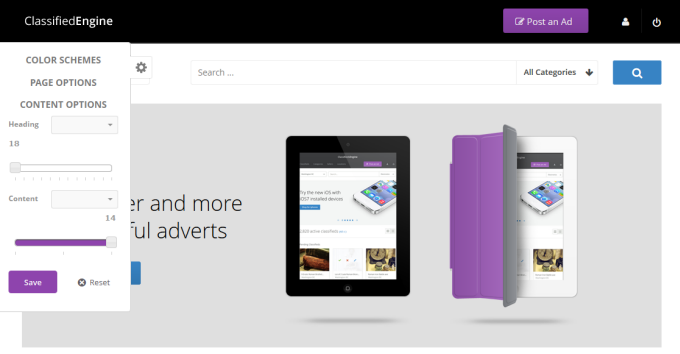 Ad Category allows you to sort posts according to categories. 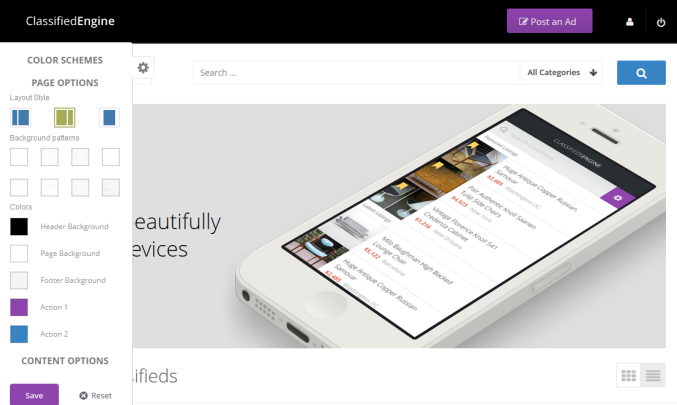 Create as many categories as you need and edit or remove them easily whenever you have to. 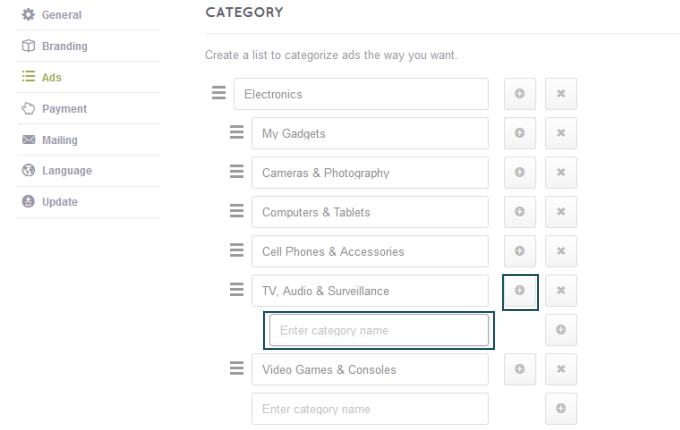 To add a category, hit Add New [+] button, enter category name in the box, and press Enter on your keyboard. 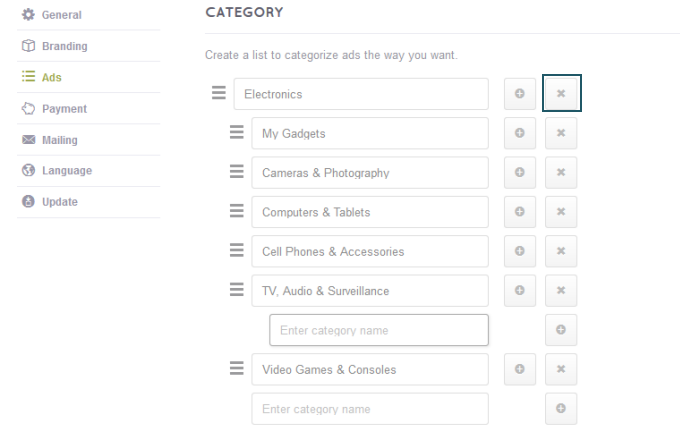 You can add sub-categories by hitting [+] button on the right of the main category. To remove a category, hit the [X] button. Please note that parent categories cannot be deleted unless all its sub-categories were deleted. 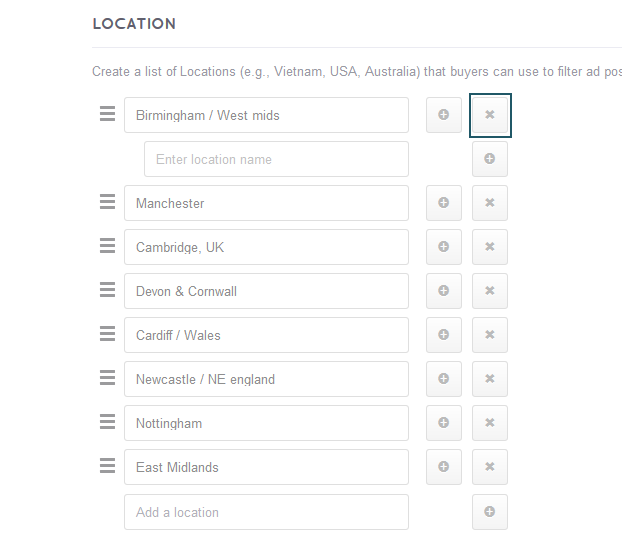 You also need to move the contents of the category to be removed to another category in the list. 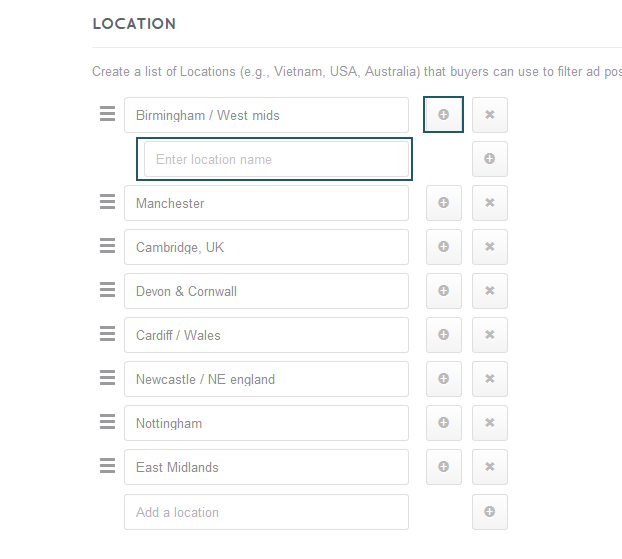 Ad Locations will help your visitors filter their desired ads according to city, state, or country. To add a location, hit Add New [+] button, enter location in the box, and press Enter on your keyboard. You can add a sub-location by hitting Add [+] button on the right of the main location. To remove a location, hit the [X] button. Please note that parent locations cannot be deleted unless all its sub-locations were deleted. You must also move the contents of the location to be deleted to another location in the list. ClassifiedEngine (CE) supports quick customization in front-end to help you easily manage your site’s appearance including layout, font, and color. 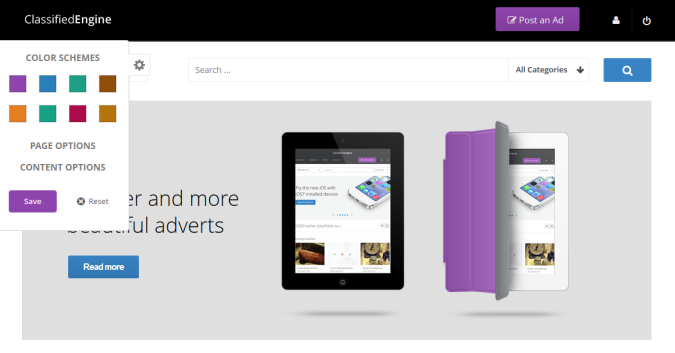 To customize your site, click Active Customization Mode icon located at the middle left of the page. color, and background colors of header, page, and footer. Layout Style. Choose whether one column, two-column with left sidebar, or two-column with right sidebar is best for your site. Background Patterns. 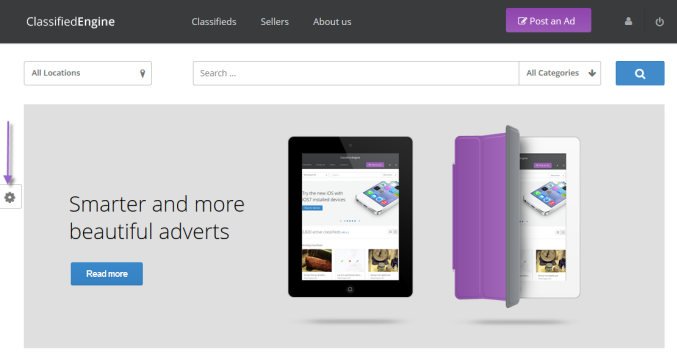 ClassifiedEngine provides eight simple background patterns to give your site a sleek look. Colors. You can change the colors of your site’s header, page, and footer backgrounds to achieve a color-coordinated or distinct style. Remember to click Save to apply the changes to your site.